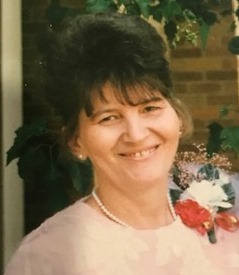 Karla Kay Routt, 70, of Cavett, died at 4:05 AM Saturday, November 10, 2018 at St. Joseph's Medical Center, Fort Wayne, IN. She was born July 30, 1948, in Van Wert, Ohio, the daughter of the late Carl and Ioma (Brown-Clouse) Johnson. Surviving are her husband Danny R. Routt of Cavett : Sons: Jeffery (Lori) Routt of Rockford, Ohio - Kevin B. "Bubba" Routt of Cavett - Scott J. (Heidi) Routt of Milford, Ohio - Grandchildren: Keri, Nicholas,(Clare) Routt, Trey and Logan Routt - Great Grandchildren: Madelyn, Lillian, Savannah, and Ellinor- Sister: Opal (Walt) Dunham of Van Wert - Brother: Conrad ((Kathy) Johnson of Van Wert. In addition to her parents she was preceded in death by her brother, Allan Clouse. Karla had retired as a cook at Vancrest Healthcare Center, Van Wert, and was a member of the Auxillary of Veterans of Foreign Wars Post 5803, Van Wert. Funeral Service will be held at Brickner Funeral Home Thursday, Nov. 15, 2018 at 10:30 AM with Rev. Dave Souers, Lead Pastor, at New Horizons Church, Rockford officiating, Burial will follow in Taylor Cemetery. Friends may call at Brickner Funeral Home Wednesday Nov. 14, from 3 PM - 8 PM. Preferred Memorials are to VFW Post 5803 Auxillary.